fire temple – Traveling Epic! In my quest to visit every country I wasn’t sure what to expect with Azerbaijan. What looked like a small country with a checkered past sprinkled with war and conflict with Armenia. 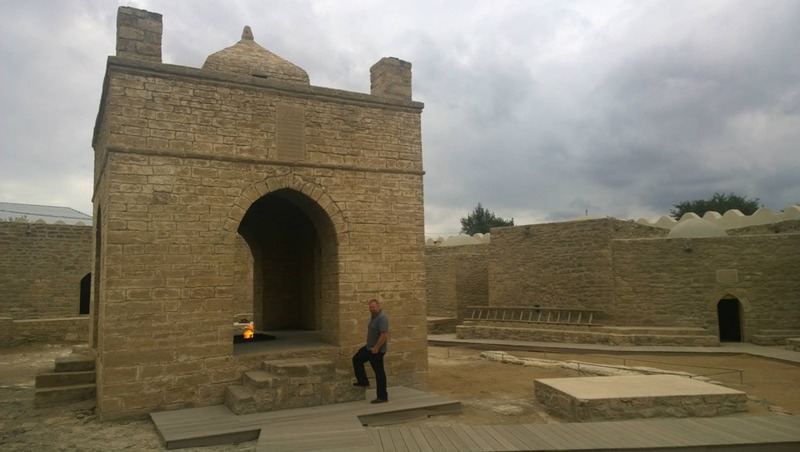 I was definitely interested in learning about the people, the culture and learning what Azerbaijan had to offer the world and for fellow travelers. I wasn’t disappointed, in fact I was blown away with the treasures of this land. What I found was fantastic. 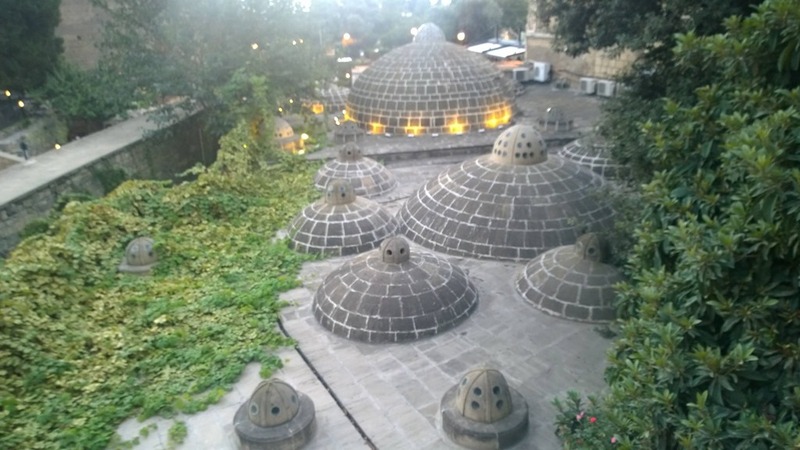 Azerbaijan is a very culturally rich country with a deep past. 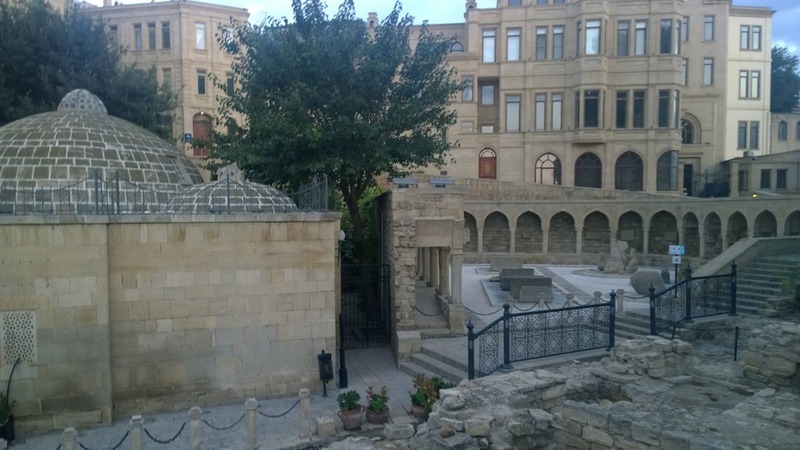 A former soviet block country with it’s own history and it’s own identity, Azerbaijan is rich. Rich culturally and figuratively with oil and very culturally rich. Baku is in and of itself a stand out city that should be held up against the greatest in the region in comparison with Dubai and Doha . 1. 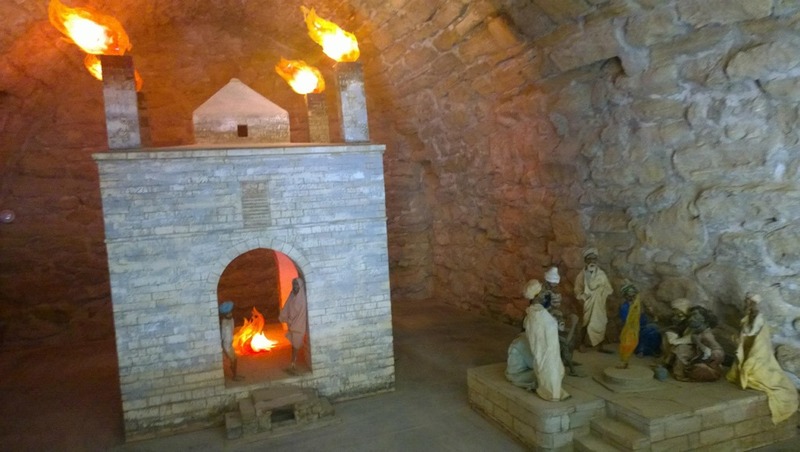 Baku Zoroastrian Fire Temple – Ateshgah of Baku. The Temple of Fire “Ateshgah” on the List of World Heritage Sites, UNESCO. It’s been a museum since 1975. The fires use to come out of the top of the 4 corners. This fascinating fire temple was a place of worship long ago and most of the history before 1700 has been lost. 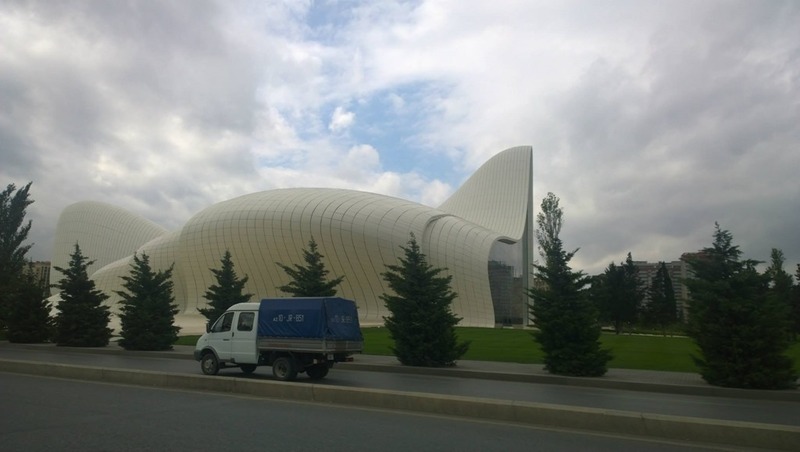 Modern Baku – Baku is a fascinating city with many modern buildings that would boggle the mind. I thought I was in Dubai or Qatar when I started seeing the array of modern, brilliant and fantastic architectures. – amazing example of modern architecture. The white building is a major landmark in the heart of Baku City. 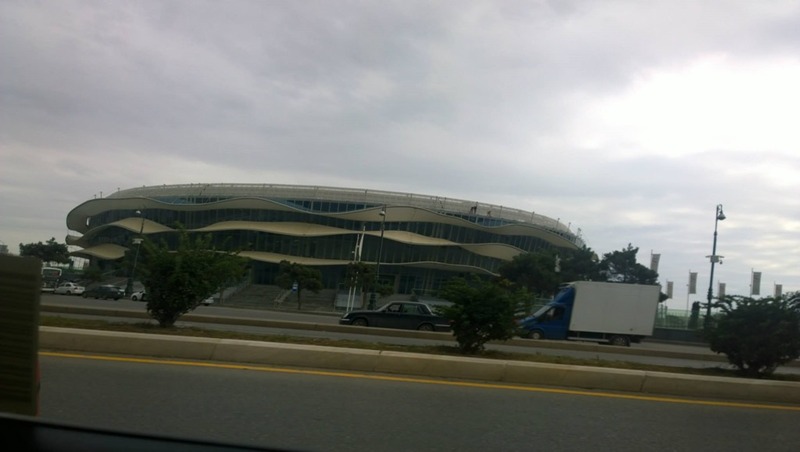 The immaculately white building comes in the shape of waves. It is no doubt an impressive structure and an great achievement in field of modern architecture and engineering. I can’t imagine trying to make the bricks for this. No lines are straight! 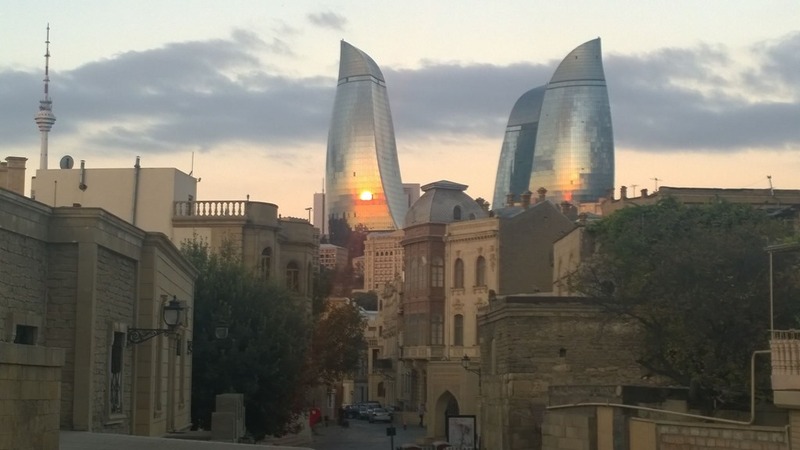 is a striking new addition to the skyline of Baku. 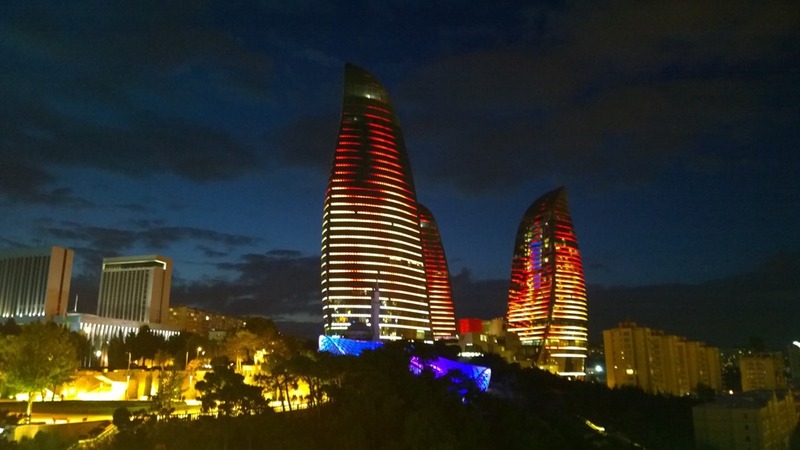 Located atop a hill on the Caspian Sea overlooking Baku Bay and the old city center, the three towers were inspired by Azerbaijan’s ancient history of fire worshipping, and will illuminate the city and act as an eternal flame for modern Baku. 190 Meters… towering above old town. The flag square is one end of the boardwalk, so really you’re just on one end of the Caspian sea and 5K walk through the park across the street from the Old Town. The flag you see was the largest in the world until Dushanbe Tajikistan took it over by just 3 meters. Big flag. up to the top to get a close up view, or ask your taxi or driver to take you to the steps shown to get a close up view of the Flame Towers. This is a must see spectacle lighting up the night sky with fires. 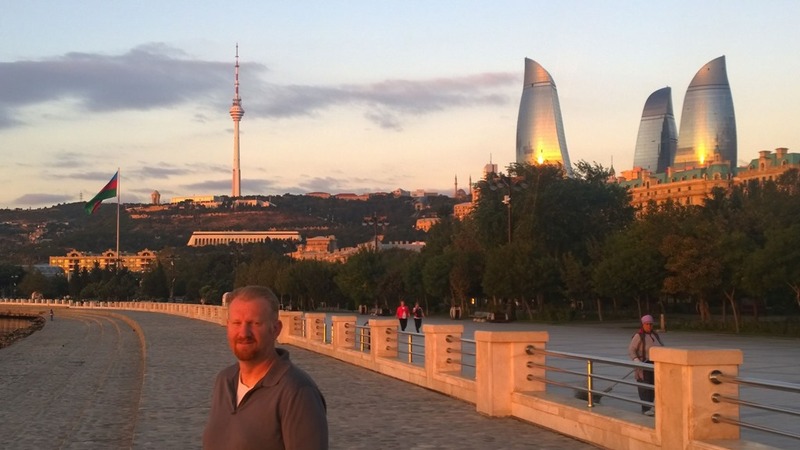 Baku is a beautiful city, and walking along the seaside boardwalk and heading for a jog at sunrise is incredible. 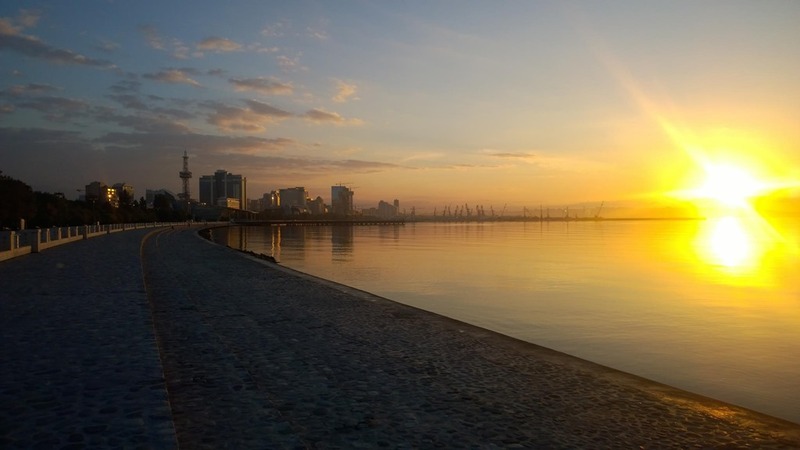 Beautiful sunrise creeping up over the Caspian sea. You can see the oil residue in the water. It’s not appealing, but the jog or walk along the the sea side can’t be beat. 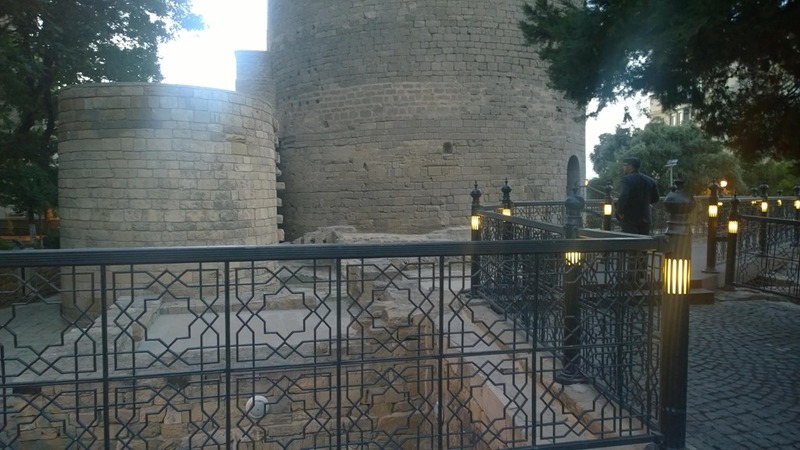 I recommend Milli Park, which is right near the Maiden tower, which is in Old Town. So very easy to combine visits to a bunch of this stuff. 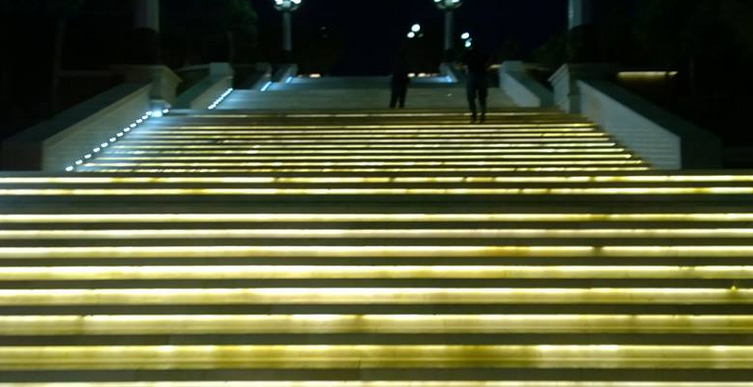 Seaside Boulevard was opened in May 2012 and extends from the ‘Baku Sports Palace’ (Bakı İdman Sarayı) to the ‘National Flag Square’. 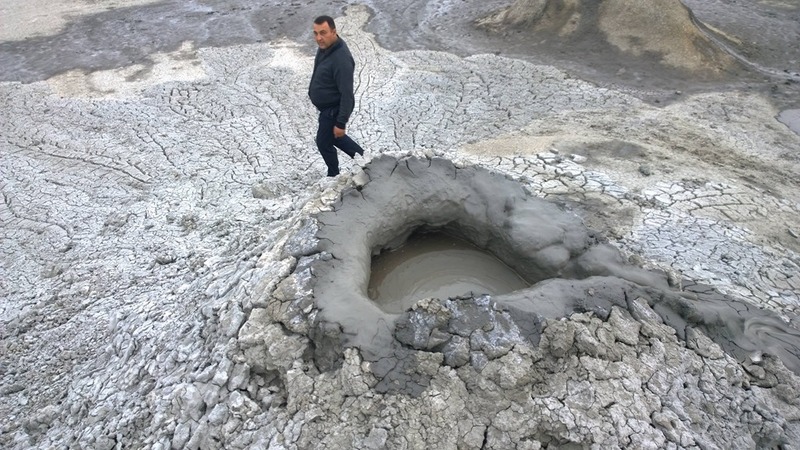 – The worlds mud volcanoes are in large part in Azerbaijan. 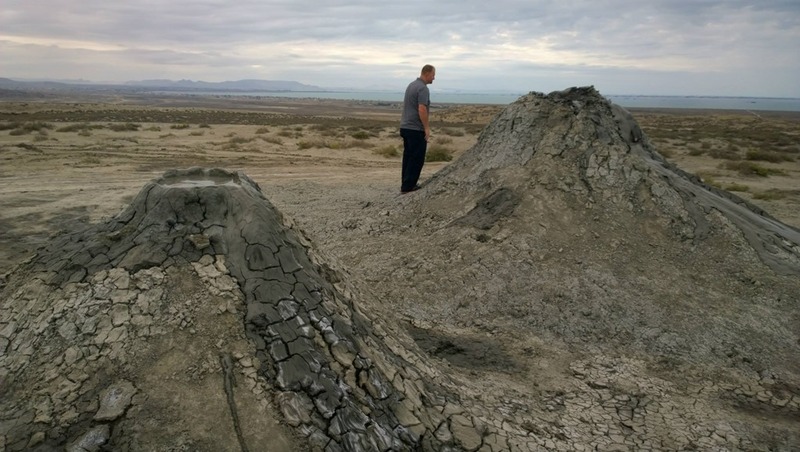 They say that more than 50% of the worlds mud volcanoes are in this country. I don’t doubt it. It hasn’t become the tourist attraction it deserves. We had the whole place to ourselves. Our driver really didn’t want to take us in his nice car, but we twisted his arm and the offroad dirt roads he took to get there, I now understand his hesitation. It was probably my favorite thing we did there. The mud was bubbling up creating cinder cones of mud, we played around. It’s not hot to the touch, in fact it was cool. Very strange and fascinating world. 8. 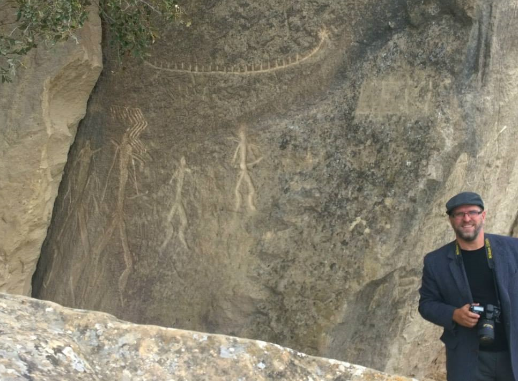 Gobustan Early man site and Petroglyphs – UNESCO world heritage site. 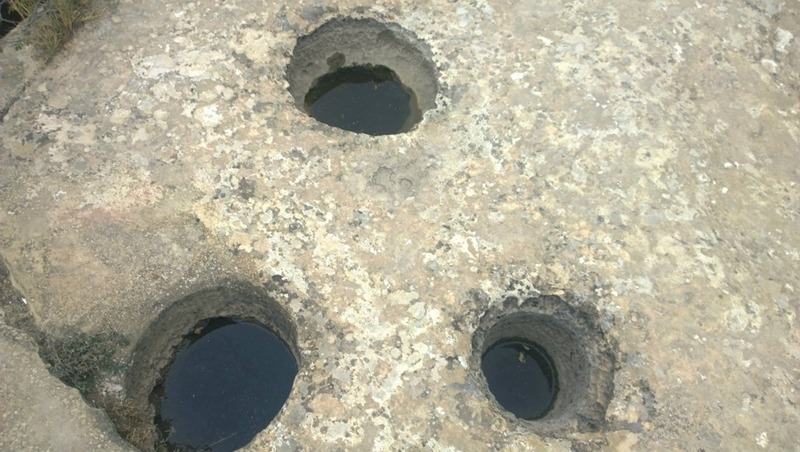 Early man carved out these holes to capture water for drinking. Gobustan Rock Art – outstanding collection of more than 6,000 rock engravings bearing testimony to 40,000 years of rock art. The site also features the remains of inhabited caves, settlements and burials, all reflecting an intensive human use by the inhabitants of the area during the wet period that followed the last Ice Age, from the Upper Paleolithic to the Middle Ages. The invading armies of Alexander the Great and Trajan also left some interesting grafitti. We didn’t find this on our journey… may have been inside the gated area, but we really enjoyed what we saw. So much there, but you’d likely need a guide to get off the route and see more. There were a lot of petrogliphys. We did the self guided tour, and later stopped in the museum that’s near the entrance of the park. It was fascinating to see. 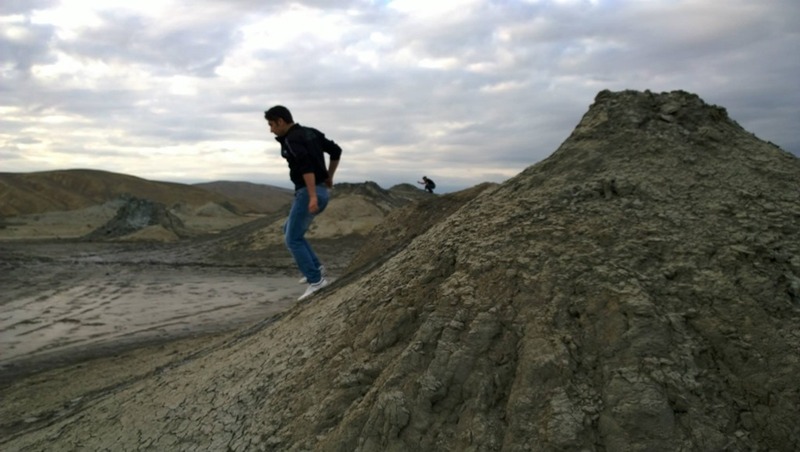 We combined seeing the mud volcanoes and the petrogylphys and early man stuff in Gobustan. Walking through the center of town you’ll find a fascinating walking street through the town. Be sure to take the underground walk ways when you encounter busy streets and obey the traffic signs. The cars won’t stop for you. There are lots of fountains and fascinating things to view walking through the city. 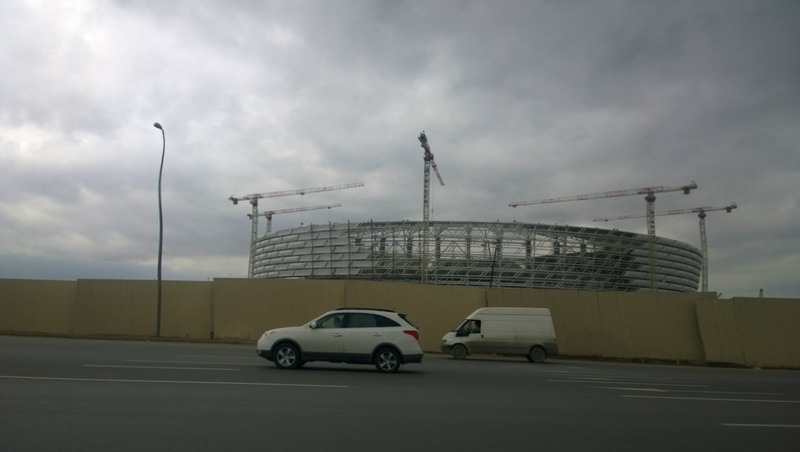 If you like Sports… check out the 2015 European Games planning on Baku Azerbaijan as the host. They are getting state of the art stadiums to host the games. 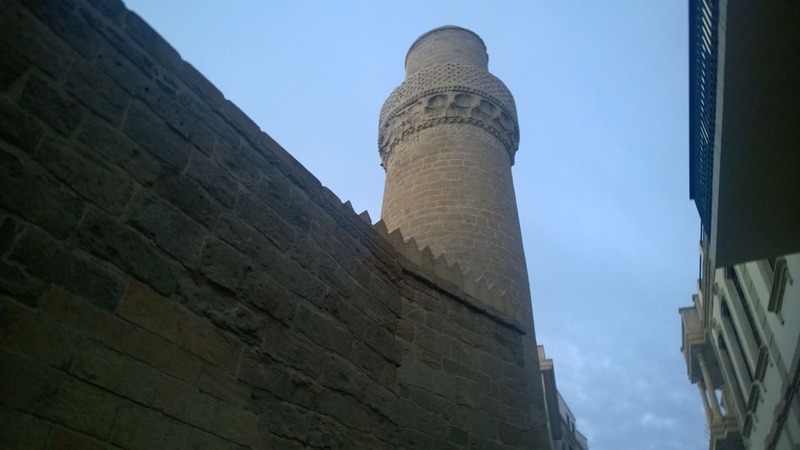 The Bibi-Heybat Mosque is a historical mosque in Baku, Azerbaijan. The existing structure, built in the 1990s, is a recreation of the mosque with the same name built in the 13th century by Shirvanshah Farrukhzad II Ibn Ahsitan II, which was completely destroyed by the Bolsheviks in 1936. 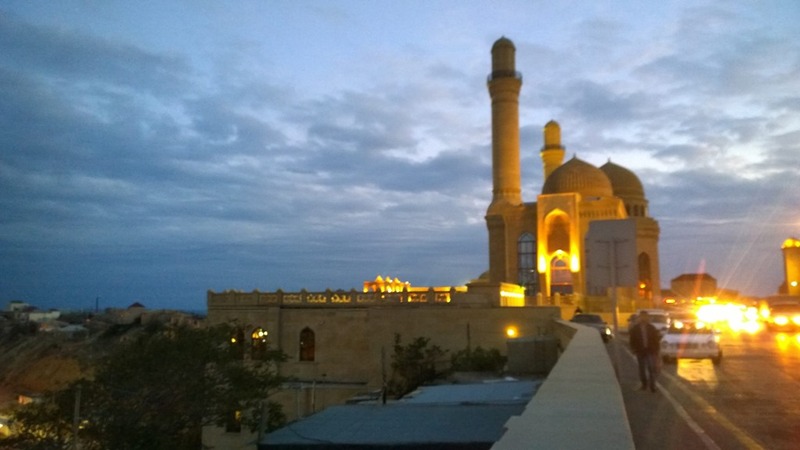 The Bibi-Heybat Mosque includes the tomb of Ukeyma Khanum (a descendant of the Prophet Muhammad), and today is the spiritual center for the Muslims of the region and one of the major monuments of Islamic architecture in Azerbaijan. What I missed, that I wanted to see. Go and enjoy the oil baths of Naftalan. Seriously baths of crude oil… petrol! 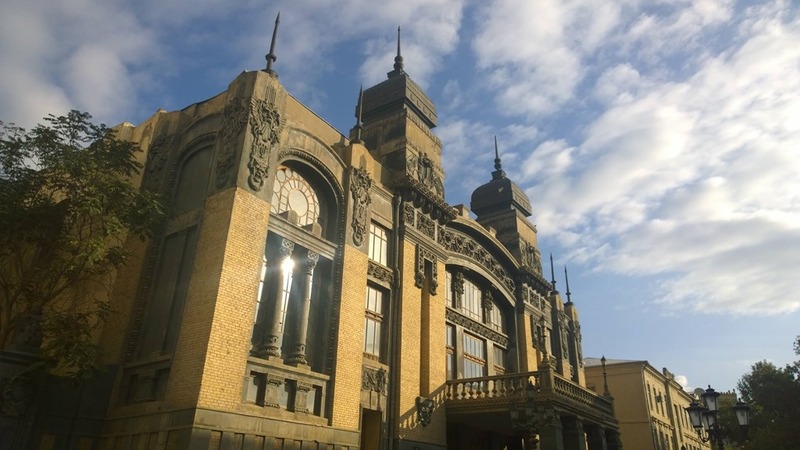 The Baku Airport is one of the few in the world offering flights to Nakhchivan and travelers heading that way should book a flight from here. My friend Michael who traveled with me was able to fit it in and spent a good day there.